Boxing megastar and Honorable Congressman Manny Pacquiao decided to wear another hat, that of a PLAYING-COACH of the team Kia Sorento in the Philippine Basketball Association (PBA). Add that to his being a boxer, a politician, a businessman, an entertainer and a product endorser. That many are the hats that the world’s only eight-division champion has in his head. Anything about Pacquaio has always been newsworthy and the foregoing is no exception. His decision to enter the world of professional basketball as a player and coach has invaded the newsroom and the rumor mill. It elicited different reactions from both his supporters and bashers. Would this additional responsibility negatively affect his performance as a boxer? This was the same question that was asked when because of his popularity as a boxer he was offered product endorsements and TV shows and guestings. Of course, Pacquiao obliged. Many feared that showbiz would cause him distractions. But the boxer knew what he was doing. Pacquiao embraced his career in showbiz. He even appeared in some movies and also had a brief singing career. He silenced objections to his career in showbiz by stringing up victories in the ring. For as long as he kept winning his critics were silent. Then in 2007, saying that he wanted to help the needy, Pacquiaio decided to join the political bandwagon. And as expected, the well-wishers and naysayers came out in throngs and expressed both support and warnings. But Pacquiao is his own man. He listens to advises but does what he thinks is best for his life, family and carreer. His promoter Bob Arum and coach Freddie Roach could only wish him well for they themselves know that nobody can dissuade the former best pound-for-pound boxer from pursuing his political ambitions. He went on and ventured into the unknown territories of politics. He lost his first attempt to win the congressional seat for General Santos City in South Cotabato, Philippines. He tried again in 2010 when he ran as Congressman of the province of Sarangani and won finally. He is now serving his 2nd term having won his reelectioon bid in 2013. Then came the next conquest of Pacquaio…a career in basketball. On the heels of his decision to play and coach in the PBA, the Speaker of the House of Representatives, Hon. Sonny Belmonte, called the attention of the boxer-lawmaker. In an interview by the Philippine media, the leader of the House asked him and other absentee lawmakers to perform their mandate, that they need to attend sessions. If Pacquiao seriously plays his role as coach (forget the player part) at the professional level, this will eat up a lot of his time. Coaching a pro team in the PBA is a serious thing. Each team in the pro league plays at least twice a week and aside from that, as a coach, he needs to supervise the training of the team. There are a lot of things that a coach must accomplish. Would Pacquiao be able to attend to all the concerns of his team as diligently as he should? With the many hats he is wearing, very unlikely that he could. It was reported that he did not attend 39 session days during the First Regular Sessions of the 16th Congress. If he could not perform his duties in Congress because of his busy schedule then how could he squeeze in his role as coach. And if he chooses to prioritize his role as playing-coach in the PBA then what would happen to his duties as Congressman? But the more serious question is— How about his boxing career? Pacquio has fought 8 times since becoming a lawmaker in 2010 winning 5 via unanimous decision and 1 majority decision. 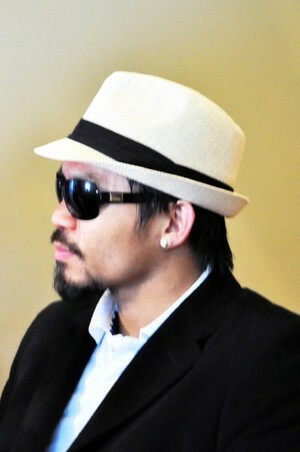 He lost twice, 1 by split decision to Timothy Bradley and the other by knockout to his archnemesis Juan Manuel Marquez. Philippine’s boxing pride failed to impress in his bouts while serving as a lawmaker. He even suffered a brutal knockout in the process. In his last 4 fights before winning a congresional seat he was mighty. He TKO’ed Miguel Cotto, David Diaz and Oscar Dela Hoya and knocked out Ricky Hatton. Is it coincidence that he has not been performing well in the boxing ring since he became a member of the House of Representatives? Or is it because he could not carry his vaunted power into the welterweight ranks where his opponents are naturally bigger than him? Or perhaps, Father Time is catching up with him. What about now that he is a playing-coach of a basketball team? How will this affect him as a boxer? Would his decision to join the PBA be a source of distraction not only on his upcoming fight with Chris Algieri but abut also on his future fights? To say that “no two teachers are alike” is not expressing an assumption but rather stating a universal truth. Yes, teachers differ in many ways. Even if they may have come from the same culture and graduated from the same college of Education in the same university you don’t expect them to embrace the same philosophies. You don’t see them apply the same methods and strategies in the classroom, approach teaching and learning with the same degree of passion, and treat the learners in the same manner. Teachers decide which perspective they would use in looking at their role as mentors and in looking at their students. Such perspective depends on either the philosophical foundations they adhere to or their personal set of beliefs, or may be both. Teachers may have read too much of Hegel, Kant and Plato that they may have developed idealistic tendencies indoctrinating their students into believing that they do not exist for themselves but for others and for a higher purpose. Or like Aristotle, Locke or Rousseau, who all tried to debunk the ideas established by Plato and company, the teachers maybe slowly training their students to subscribe to rational thinking, that the latter need to think critically and scientifically. They could be pragmatists like Dewey and Kilpatrick, guiding students to keep themselves in touch with reality for they believe that there is no other world aside from what can be perceived by the senses. Whatever set of beliefs teachers bring to the class doesn’t really matter for as long as all that they say and do in class is not inimical to the interests of the students. What is important is that everything that transpire in the classrooms are intended to make the students the best persons they could be and make them prepared to live life. So be it if the teachers are like Satre, leaning towards Existentialism in guiding the students to take responsibility in deciding who they are in order to make themselves authentic individuals. Nobody can claim that this or that philosophical perspective in education is superior over the other. It’s fine if the teachers wish to embrace all the philosophies and combine their best features to serve and guide them in shaping their set of values and in choosing their methods and strategies. Combining the philosophies is not, by the way, a novel idea. In Scholasticism, St. Thomas Aquinas, harmonized Idealism and Realism. What about coming out with a philosophical perspective combining the four major philosophies in Education? The philosophies aforementioned have shaped the teachers into the kind of educators that they are today. Whatever they knowingly and unknowingly say and do in the classrooms are offshoots of their set of values and beliefs. And this set of values and beliefs constitute their philosophy of education. Teachers may have also accumulated through the years a personal system of values that govern every decision they make in the classrooms. Thus we see them approach their teaching (and deal with their students) in different ways. We see them display different degrees of enthusiasm in teaching. Some display no enthusiasm at all. There are teachers who are “sages on the stage” who believe, the way the realists and idealists do, that knowledge emanates from them being the authorities. So, the students should be spoonfed. Conversely, there are teachers, who, like the existentialists and pragmatists, act like “guides on the side” painstakingly guiding the students to self-discovery. There are teachers who would choose specific methods and strategies without considering the specific needs of their students. But there are also those who would be conscientious enough to take into consideration the heterogeneity in the class before deciding what learning system they would put into effect. There are teachers whose mere mention of their names would send shivers down the spine of students. Conversely, there are teachers who try to make learning fun making the students enjoy, and not fear, the classroom. There are teachers who consider the classroom a workplace, while others consider it a playground. They work playfully or playfully work happy doing what they are doing in the classroom thereby rubbing off to the students their joyful spirit. There are teachers who have seemingly forgotten that the students are not just empty sheets waiting to be filled-out as in Locke’s Tabula Rasa. The kids in the classrooms are not wax figures with empty minds which the teachers need to stuff with all the knowledge that the curriculum requires. These students are not just intellectual beings, they have emotions. They need not just to be taught. They also need to be loved and understood. Whatever the teachers decide to be… whatever system they implement… whatever method and strategies they apply… however they view learning… however they treat their students… would depend on their perspectives as dictated by their educational philosophy and by set of values and beliefs. Admittedly, I got tired watching Filipino drama series shown on Philippine TV. The story lines are so repetitive that it diminishes the element of surprise which is a key ingredient in literary appreciation. Instead of the suspense killing the audience, familiarity to the story line killed the suspense then bored the audience. Then came GMA’s “Ang Dalawang Mrs. Real.” It’s a story about a philandering husband who married another woman. After going over its synopsis, I said “nothing new.” So, I did not bother to watch, until my one and only “Mrs. Real” asked me to find on You Tube the episodes of the said TV drama that she missed. With nothing else to do I decided to peep on what she’s watching. 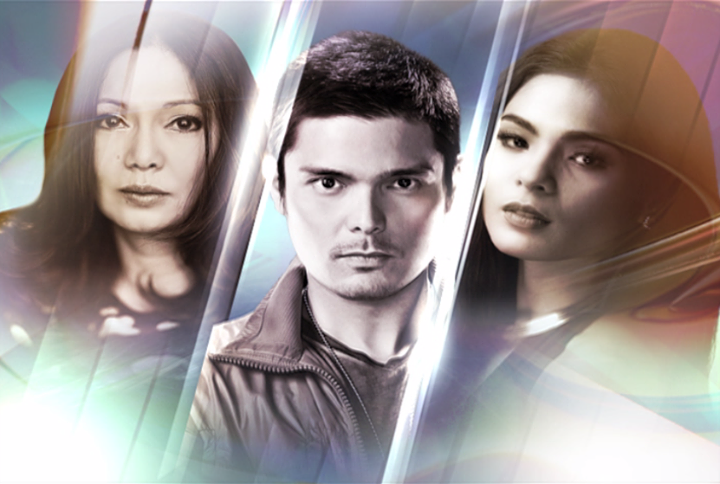 Result: For the first time in years that I eagerly watched a Filipino drama series. How many times have we watched a movie and TV drama about unfaithful husbands? How many times have we read stories about men not contended with their wives so they resorted to having extra-marital affairs? We know that when the wife learned about it all hell breaks loose. We know that when men got caught they had to choose between their wives and their other women. The foregoing is also what GMA’s “Ang Dalawang Mrs. Real” is all about. Familiar situations yet the story, generally, succeeded in veering away from becoming predictable. Every scene, actually, is climactic stuffed with twists and turns. Watching it is like riding an emotional roller coaster. Elements of the rising action are beautifully put together as the story geared towards the climax. The climax itself was something unexpected. The writer seems to have a penchant on giving clues on how things would turn out in the story and but would present something not expected. Yes, same story line but delivered differently. Different not because the actors and actresses, if I may use an oft-repeated phrase, “gave justice to their roles.” This is no longer surprising. It is a given. These people are trained to act out roles. It is different because the whole story is a realistic rendition of life. And this is exactly what literature is…a faithful reproduction of life. Characterization and dialogue are consistent with literary realism. The story as a whole presented universal truths about men and women, about family and society making it acceptable even to international audience. Anthony (Ding-dong Dantes), the husband, is the embodiment of the popular belief about men – “that men are polygamous in nature.” Henry (Robert Arevalo) and Tino (Tommy Abuel), fathers of the two women married by Anthony, are themselves not clean. Both of them have had extra-marital affairs themselves. Among men in many parts of the world, womanizing seems to be a natural tendency. But the story also presents the good side of the male specie through Jun (Jaime Fabregas), a disciple of monogamy. He is a loving husband to his wife Sonia (Conie Reyes) and a supportive father to Anthony. Chaos descended upon his family for all the troubles created by his son yet he keeps his family above water. He was the glue that keep his family together. On the other hand, Millet (Maricel Soriano) is an epitome of a martyr wife. While almost violently that she reacted to her husband’s infidelity, while she was offended to the utmost upon learning that Anthony married another woman, she forgave him. That’s how wives are, they always stand by their men. As much as possible they must preserve the famiy. Umeng (Susan Africa), the mother of the other Mrs. Real, Shiela (Lovi Poe) also chose to stick by her husband, Tino, even if she discovered that the latter, just like Anthony, had another woman and actually fathered a child. Millet and the other Mrs. Real, Shiela (Lovi Poe) and her mother Umeng (Susan Africa) represent women who are at the receiving end of an ongoing notion that it is okay for a man to have another woman. Like many women in society, they unwillingly embrace the dictum that men will always be men. Or maybe they are drowned by fear that life may not go on without their husbands. Aurora (Celeste Legazpi) and Sonia (Conie Reyes) are the typical mothers protective of their children. They are pained to see their children suffer and they would do anything to alleviate their suffering. In real life, we criticize people for the things they say and do. We did the same in the drama series, we passed judgment on the characters. We approved the positions taken by each of the families affected. They did what they needed to do to protect their loved ones. But while we expressed sympathy for some characters, most especially Millet, we criticized some. The harshest criticism fell, not on Anthony, but perhaps on Henry. Why not on Anthony? He is the most sinful of all the characters. He caused all the troubles. But why was he not crucified. To err is human to forgive is divine. Anthony committed mistakes but tried to correct them. He tried to put things in order thereby earning the forgiveness and sympathy of the viewers. And why on Henry? Because he is so unforgiving. He plays his moralism to the extreme. He did not forgive Anthony and sued him for bigamy despite the pleas made by his wife and his daughter and Anthony’s mother. When Millet fell into depression we considered it to foreshadow the possibility of Henry finally forgiving Anthony. But the story did not give the audience what it expected. Millet getting ill all the more strengthened Henry’s resolve to go hard against Anthony. The case Henry filed prospered. The viewers disliked Henry for such a hardline stance, although it was out of love for his daughter that he ought to do what he did. Any father would want to punish anybody who would hurt their children. While Anthony went into catharsis starting from the moment he got caught for his infidelity and culminating in what he did during the trial when he retracted from his “not guilty plea” declaring his willingness to go to prison and be punished for his wrongdoings for the troubles he created that even led to his father’s death, Jaime on his part, took until the time that Anthony finished serving his prison time to have his own catharsis and finally forgive him. The lesson is clear, when wrongdoings are committed, brace for the consequences. The TV drama may have changed the way people look at the plight of women crying a river while languishing helplessly in the shadows of their husbands’ infidelity. It may have also sent a clear signal to Anthonys out there that they could be chewing more than they could swallow.